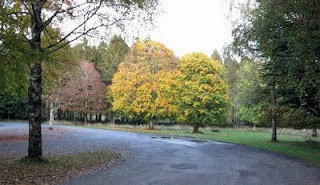 About two miles from here and a short way up a leafy lane stands, a frequently visited tree. It is known affectionately around here as The Well Tree. 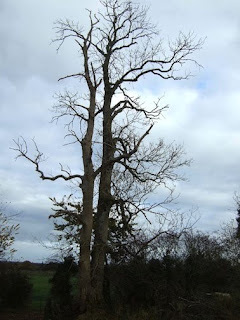 It is a very tall Ash with two trunks and branches that appear to scrape the sky, or at the very least, touch the clouds. 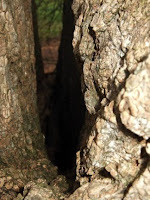 The trunks grow upwards, dividing out of a six foot high single trunk and where they separate a 'v' shaped hollow was formed; very like a reservoir, here it is known as a well, for it fills with rain water and in hot summers dries out. It is to this hollow that people with warts or other ailments come. To dip their hands into the water on three separate occasions or fill a small bottle and take the water away. Each time a sufferer visits the Well Tree they leave behind them a token, an offering, a gift. 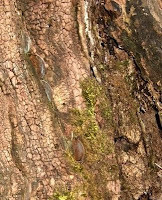 The majority of people hammer coins into the Bark, some healing trees are now known as Money Trees because of the quantity of coins in the bark. It is in the long run very unfortunate for the tree, because the metal coins slowly poison the trees and rot sets in to bring about their early demise. I do consider this coin offering an odd superstition, with a very back handed gratuity to the tree which has healed the sufferers ! I used to drink a white wine once called Golden Oktober and it was my favourite tipple. A refreshing, pleasant little wine to sip away at on Saturday afternoons, to tease away time. Taken with a few light sandwiches or may be fruit pie. I think that it was the name that attracted me far more than its quality which was hardly superior! October is Golden! It is the last month of ancient Summertime, until some fool introduced the term Autumn. Only three seasons in the year then, Winter, Spring & Summer and I think it would be far more practical to revert back to that. 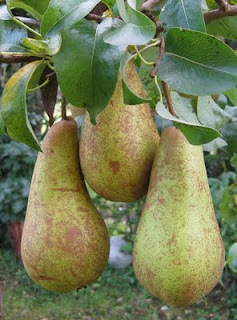 There are still crops in the fields and fruit on the trees, the produce therefore declares that it is still summer. in a place called Late Summer. Taking advantage of the few remaining summery days, we arose early to skip breakfast, that is apart from a strong cup of coffee. Which one of my friends calls 'brain food' , bless her for her wit and understanding of what is an important morning ritual that kick starts the day for so many of us. We set off driving through a light fog that thankfully, was being rapidly burnt off by the warm sun. To the West coast, crossing the River Shannon at Portumna to stop in the Forest Park and give the dog some necessary exercise. Before continuing onwards to our shoreside destination, a beach renown for holey stones and luminescent mother of pearl shells that now grace our bathroom. It was dog's first siting of the sea, enjoying a romp on the beach, the gently lapping waters of Galway Bay held no attraction to him, he was only enticed into the sea to stand in water three inches deep. By a whistled command from herself, who stood ankle deep in the cool waters. 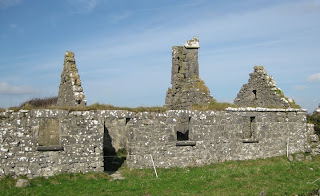 A boreen leads away up from the beach, at the end stands a beautiful ruin. An old stone farmhouse, the sight of which enticed me with camera in hand to record it's remaining features. 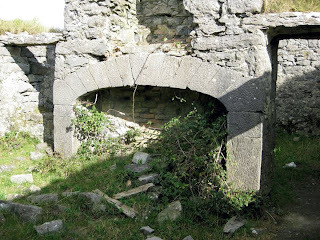 For through a glass less window I saw: a cut stone, hand tooled fire place, this was surely then a home that was loved and built by proud people. And as I stepped in through the door less doorway into the kitchen, hearing in my mind the strains of a jigs n' reels and of dancing feet tapping rhythmically on the floor. Today alas its the combined music of Atlantic winds and bird song that graces this home, where humans live no more. 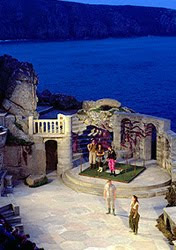 My Blog this week I have called Life the Stage, it is really about death and of how life's perceptions can change. The subject of death hardly ever gets an airing and is rarely discussed most likely because of our conscious fear, regardless of the fact that it is a journey that we all must undertake and from which there is no escape. Earlier this week I was conversing with a friend about life, its mysterious intricacies, the paths that we have walked that have somehow led us to where we are now. To have the circle of friends that we have now, yet each of us started out in different places on the planet at different dates. As individuals our lives contain experiences that shaped us and these continue, through some remarkable events or an event in our separateness that brought us all together. This does make me wonder is life accidental or are we living to a pre arranged script ? Perhaps the poem below will clarify for you the words that I have left unsaid above, even though you may need to read the poem more than once. unwritten lines from a script. that which parents fumble to create. receive no applause or curtain calls. Impatient for a part on the stage. The Universal Egg makes positive changes! In May we received a phone call from Buster of www.talkingtrees.com to say he was in Killarney and wanted to stop by to present us with a gift. So that he and his good lady would be able to tour the island without having to worry about cracking the Universal Egg. 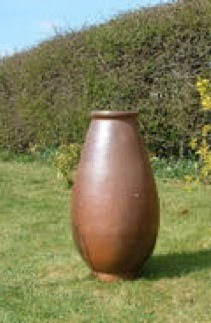 The Universal Egg is a terracotta ali-baba styled pot, which on Buster's direction we buried in the garden in a position where it would accumulate extra energy (other than that for which the pot is known). We placed it in the centre of a stone circle. The Universal Egg ! Specially designed and constructed according to principals laid down by the father of eco technology Viktor Schauberger. 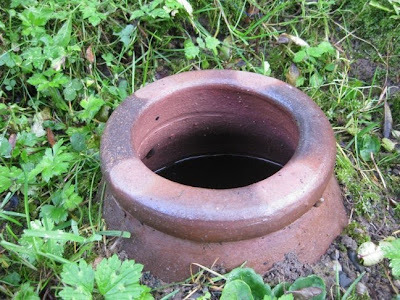 The first true living, breathing water vessel, called by Viktor the holy grail or chalice, venerated by the ancients. The material and shape of the universal egg means it can be used for above and below ground uses. It can heal and ennoble tap water, maintain the freshness of spring water, re-energise and cool sick land, rejuvenate and enliven sick or dying trees. The many uses are as varied as the imaginations of the users. I followed Buster's instructions and gave the water filled pot a regular stir, even making a stirring device made from a broom handle & two tired CD's. About two weeks ago I received a email from the great man to remove a third of the water and sprinkle it like rain drops around the garden. Now I have to admit to having been rather sceptical about the whole business, because as you and I know, that when still water is stored for a lengthy time it becomes stagnant,as well as rather smelly. 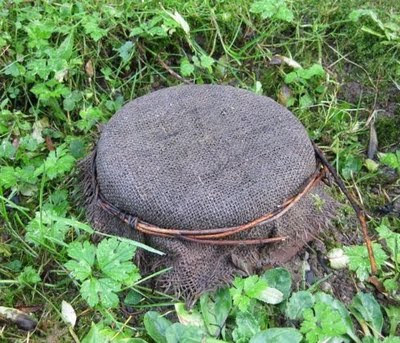 For on lifting off the hessian cover there was definitely no smell or sign of stagnancy. The water that I extracted via a jam jar tied to a pole, was amazingly crystal clear and I was totally gob smacked ! We did indeed sprinkle the water, like rain, around the garden and the remainder I shared with friends, for them to do the same in their gardens. I have known for some time that water is a special element in that it stores memory. Think of flower & gem essences, as well as homeopathy, all three use fresh spring water as the base to store an energy pattern. Anybody else noticed that in the last few years that Common Courtesy has dwindled down to such an extent that it has now become virtually extinct . I wonder if the new vogue of Political Correctness is to blame, or is it modern communications with all of its jargon. A ridiculous idea of course. But what influence is it that has put a stopper on common courtesy that's what I would like to know ? I do recall that twenty years ago it was the folks from the USA who having scrounged a holiday in our home, would return to theirs and nothing would be heard from them until they wanted to make a return visit. Today I no longer entertain those whose manners are so poor that they cannot show a bit of honest decency and send greetings . Another relevant grouse of mine is honesty, people are seemingly dishonest with themselves or is it that they have lost the ability to clearly state their desires. Ask them a straight question and the reply is "I don't know I will let you know"
from one individual. Now don't run away with the idea that I have only ever asked them a simple uncomplicated question just the once. I do jog their memory from time to time. 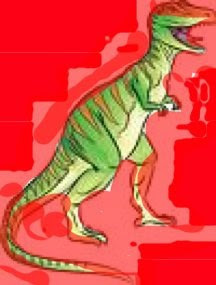 I may very well be seen as an old dinosaur for sticking to my point of principles but am constantly fed up with the modern society that has its head up its arse !